If you want to learn about dog food, we’re glad that you found us! Life’s Abundance is holistically balanced and provides the nutritional harmony that’s important to help your canine family member achieve and maintain optimal health. The extensive recall of dog & cat food recently does not include any of our products. We have Life’s Abundance as an alternative to these recalled foods. Please click here to visit our web site for more information (and to order) the healthiest possible pet foods & products. Get up to a 20% discount and delivery to your door! Compare your food to Life’s Abundance. Click for pet food samples and additional information. All of our foods are formulated with select ingredients to help your puppy or dog grow and thrive. With Life’s Abundance, you can be confident that you’re feeding advanced nutrition to help your dog achieve and maintain optimal health. Fresher food is more nutrient-rich. While leading brands stockpile tons of food for months on end, our healthy dog food is made weekly in small batches, so it’s only 4 to 6 weeks old when it’s delivered. 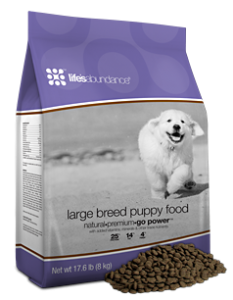 When you buy this Life’s Abundance dog food, your sweet pup will benefit from our strict inventory controls and product safety considerations that are second to none. Put your K-9 on the path to wellness. Provide them with a recipe for a long and happy life. We are passionate about helping you to lead an abundant life with your own home business. See the many advantages of starting your own Life’s Abundance business. We’re always looking for new Team Members. Go into business with your dog and earn extra money! Please check out our full line of healthy dog and cat products and supplements for your precious pets!!! We have canned dog foods too!! Delicious, succulent banquets made from turkey, shrimp, chicken, and crab. Chock full of nutritious healthy fats, minerals, fruits, vegetables, and more. Made in the USA. Check them out here. 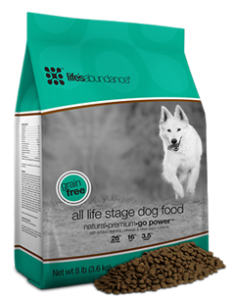 Also available – All Life Stage Grain Free Dog and Cat Food! 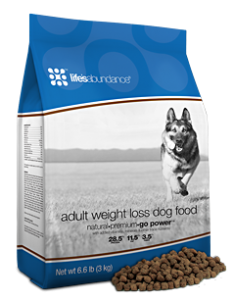 Adult Weight-Loss Dog Food offers robust nutrition with ample nutrients to put the pep back in your pup! For adult dogs only. GoldenMoon Labradors uses and endorses all Life’s Abudance Foods and Products since 2002. 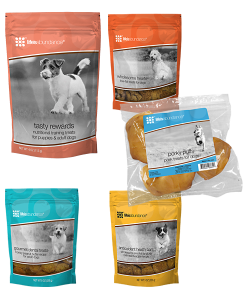 All of our puppies go home with a free bag and sample products of these most awesome healthy pet products available!